Please make sure your tenants are safe, We think It should be law. It should also be pointed out that manufacturers instructions are legal documents and they specify what should be adhered to, with respect to their appliance. 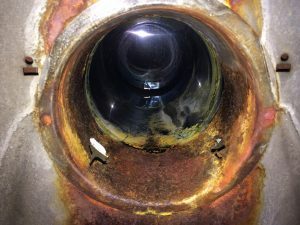 Generally the advice states that the appliance should be serviced annually. Generally the service will cover all aspects of the safety check and therefore the certificate can be issued at nominal extra cost. With reference to the above we will normally recommend servicing a gas fire or boiler when issuing a Landlord certificate unless the appliance has recently been commissioned or the landlord can show a recent service record. This requirement by us is to protect both tenant and landlord as well as our own reputation. Ensuring peace of mind for all concerned. 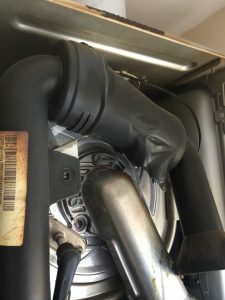 2 – New vaillant with a loose burner, The Flames were coming out of the case. The name and signature of the gas operative and the CORGI registration number of the engineer. All safety certificates are completed electronically and we email them through to you the Landlord and also to the tenants, you can then forward this to Estate agents or property management companies without the need for photocopying and postage. You benefit from receiving the original therefore it can be forwarded by email. All certificates are completed and sent the same day from our engineers mobile handset, landlords who do not live locally find this method very helpful. There are numerous sources of information on Landlord and Tenants rights and duties, refer to our Gas Safety Help & Advice page for further details. Click here link to HSE site for full information on gas safety. Poorly maintained gas appliances, such as boilers, fires and cookers are the main source of carbon monoxide in the home, with inadequate ventilation increasing the problem. 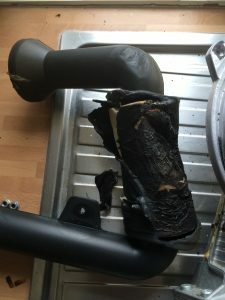 Things to watch for -: Staining around the appliance or the case, change in colour around the wall, Poor flame colour if you can see inside the burner, Shut the appliance off and call a gas safe registered engineer as soon as possible. All homes with gas appliances should be checked yearly by a ‘Gas Safe’ registered engineer who will undertake repair work and issue a gas safety certificate. For owner occupiers it is good sense, for landlords it is a legal requirement. Landlords should ensure that their tenants get a copy of the gas safety certificate within 28 days of the gas check, or, if new tenants, when they move in. Landlords who don’t meet the requirements of The Gas Safety (Installation and Use) Regulations 1998 can face prosecution and heavy fines. Carbon Monoxide Detector we commonly use is the Fire Angel with a 7 year life and insist that one is fitted with any open flue appliance.